Antique oak flooring is normally associated with reclaimed timber for old boards and warehouses that has aged through years of use and abuse. Most of the old barns and factories that had oak flooring have disappeared so the only sustainable option is handmade antique flooring. The products shown here are just an example for see more products and details here. There are many versions of this in the UK wood flooring market and most use machines to try and replicate the surface and texture of reclaimed Oak. The problem with this method is that the surface indentations become regular and you get a very “false” appearance. Even where companies profess to “hand scrape” the surface it is still repetitive. 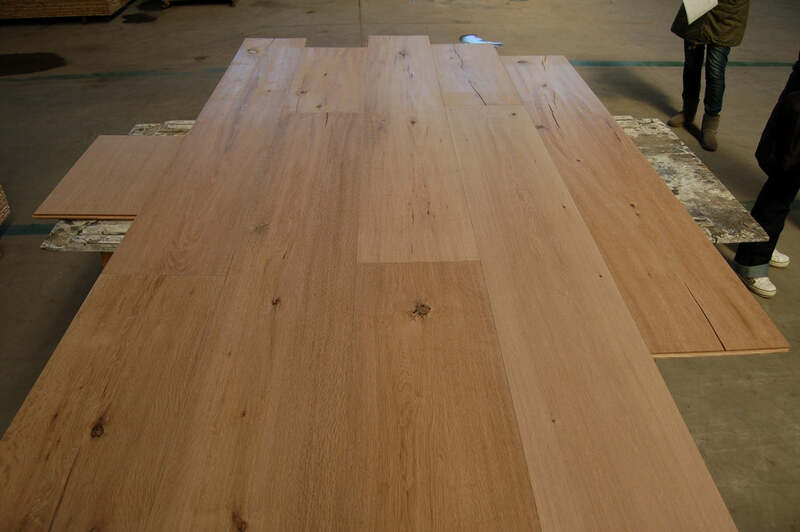 Here at the Solid Wood Flooring Company, we have devised a method whereby our expert craftsmen are specifically trained to prepare the surface of our antique oak floor boards as if they had been on the floor for a hundred years. This means that there are no repetitive patterns showing and you get the most natural reclaimed look possible in a new prepared oak floor. Large and small unfilled knots, although our boards do not contain a large number of knots and they are not dead knots. Dead knots left in a board can fall out or become loose so when comparing products be careful of the very cheap antique floors. Areas of grain especially the softer grain hand scraped to about a 1mm to 1.5mm depth to give the surface a reclaimed look. The grain on antique oak flooring will have wide colour variation, heart and some heart shake, occasional cracks and holes. We ensure that the features of the boards have no effect in their strength and all our antique floor boards are structurally sound. Antique oak flooring is usually wanted for older buildings and we get specifiication for a lot of Grade I and Grade II listed buildings where the old floors have rotted through or due to a major refurbishment where all or some of the floors need to be treated.